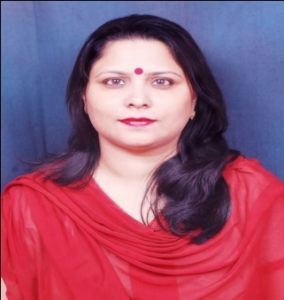 Dr. Sonia Khajuria is an Associate Professor of English at Government College for Women, Parade Ground, Jammu, J & K. She received her Doctorate from University of Jammu, J& K. She did her research on Ecofeminism in the selected novels of Margaret Atwood. She is the first Member Secretary of Academic Council of Autonomous College, G.C.W. Parade Ground, Jammu. She has published, and presented papers at National and International Conferences . As a Resource Person, she has been providing her inputs on Communication Skills to students and teaching faculty of various schools and colleges of Jammu. She teaches English Literature, Creative Writing, and Functional English.